Pokémon Go‘s new updates have been great for bug fixes, but they’ve also made the game much more difficult. We’ve noticed that Pokémon tend to break out of balls and run away more often, so you truly need to hone your flicking skills in order to catch it without wasting extra Pokéballs. Some players have long asked for a training mode to practice throwing Pokéballs. 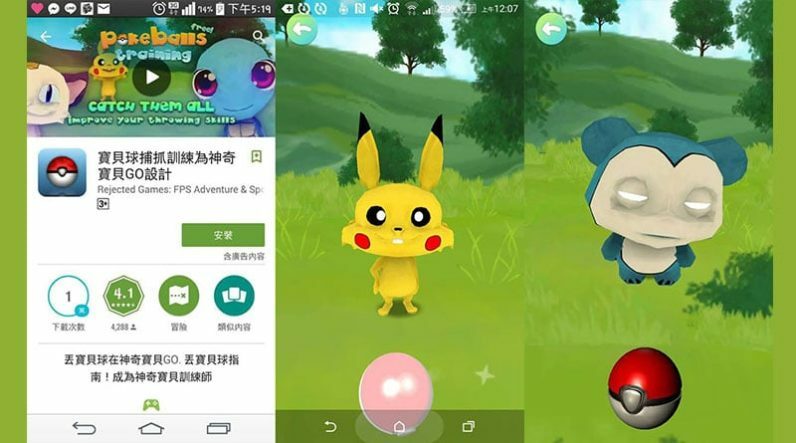 While Niantic has yet to add this to the official game, there are several knockoff apps that can help you. And that’s how I came across…. this. Snorlax, I told you to stay away from the meth! If you do want to download the bootleg version, however, you can get the APK here. Don’t let your kids get a hold of it though – they will never look at Pikachu and Squirtle the same way again.